Discover the Chilton Furniture difference! Just what sets Chilton Furniture apart from our competition?  Our Furniture Showroom is one of the most unique and complete furniture displays in Northeast Wisconsin. Take a stroll through room setting after room setting. Each one more tastefully decorated than the last. Let your ideas run wild!  We are one of the few remaining full service home furnishings retailers. While making your furniture decisions, we can also help you with all your floor covering and custom window treatment needs. Just think, all of this in just one store while working with just one salesperson! We can save you time, stress, and money.  Shop at your own pace and on your own terms. 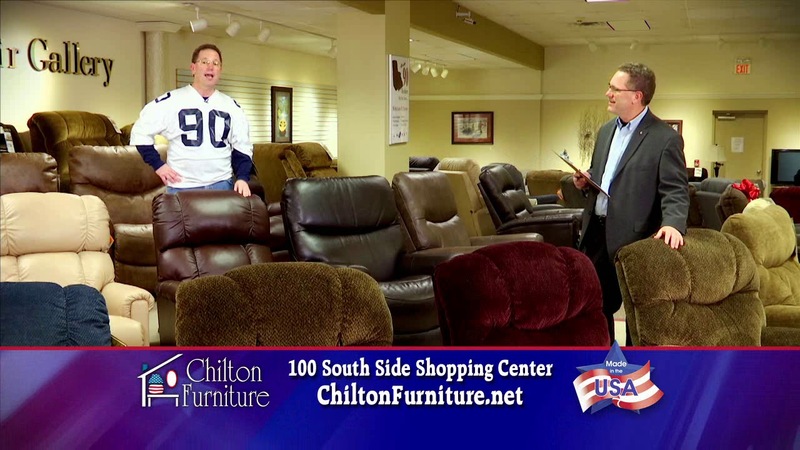 At Chilton Furniture, we believe in giving our customers lots of space. We promise that you will never get "attacked at the door" by a salesperson with a clipboard. We want your shopping experience with us to be pleasant and enjoyable, not a high- pressure nightmare.  When you come to our store, you can always count on seeing and working with the same experienced people. Our 4 designer/sales associates have worked in our store for a combined total of 75 years. We know our customers and our customers know us!